Lucindaville: USDA Graphics -- Yea or Nay? 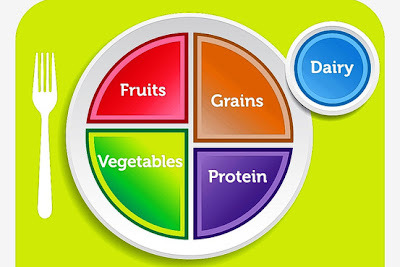 This is the new nutritional "myplate" design from the USDA. It replaces the "food pyramid." The total for creating it was reported to be $2 million. Do we like it? Was Milton Glazer busy? No one at the USDA thought of YouTube contest? Bravo's Top Graphic Designer? For some of the USDA's designs through history check out Cookbook Of The Day. A terrible idea in both content and execution. Needs less grains, more protein and definitely more Vignelli. I wonder if this company will surpass its economic crisis soon, i 'm so worried about it.